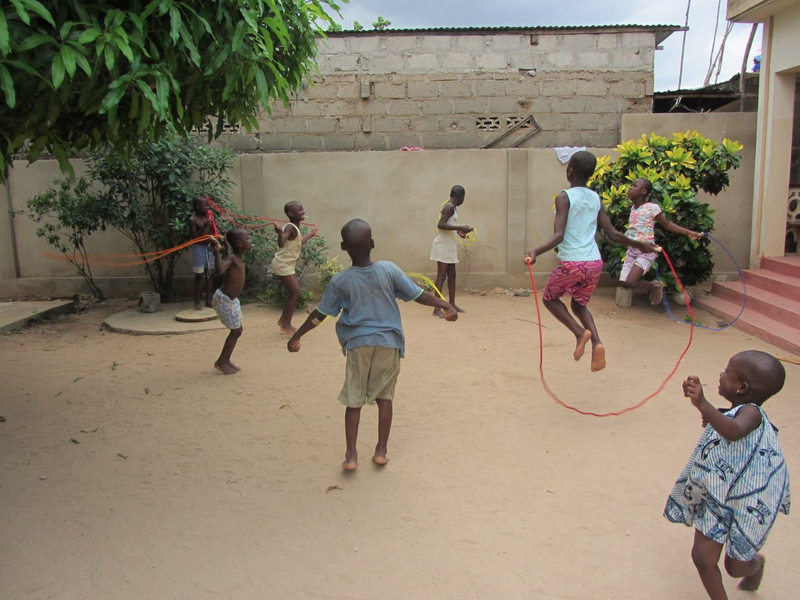 The main focus of this year’s visit has been to establish the way forward for Ghana Storytelling projects in 2013-14. With the completion of the Kindergarten block in 2012, I knew that it was time to look at what could be done to help the storytellers in Have. I was excited to visit them as, for various reasons, I did not see them in 2011 or 2012.
maintain the WC’s as best as they can and who receive the small donations which are made by those who use them. The WC block in Have Domefe – male and female blocks. 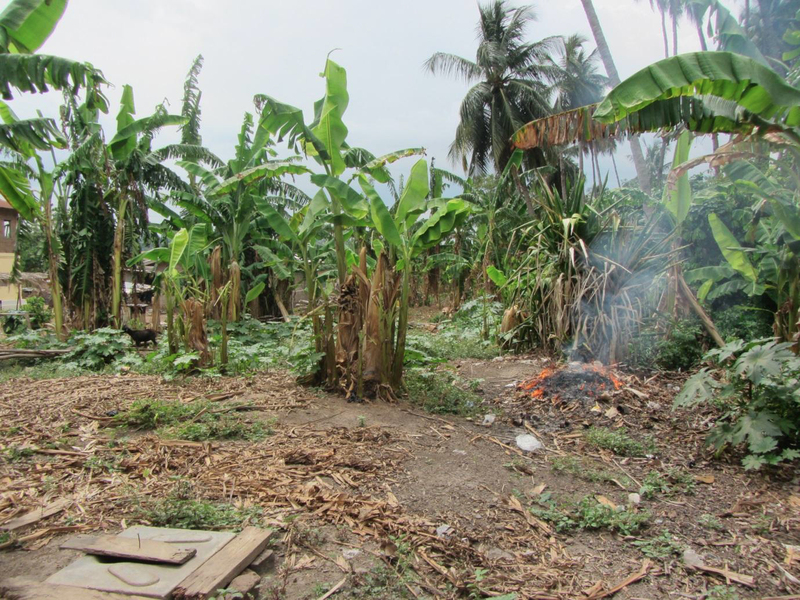 This is the desired site for a village bore hole, engineering excavation permitting. I asked Togbe about the possibility of ground source water and he told me that there is a stream nearby which dries up during the dry season (November to May) but which is clearly indicative of underground water which could be reached with a bore hole. I therefore went to see the manager of the water board in Keta (where I stay) to inquire about the possible costs and was told that it should cost between £2,000 and £3,000. The most advantageous situation would be to agree a price with a drilling company which is already working in the region. 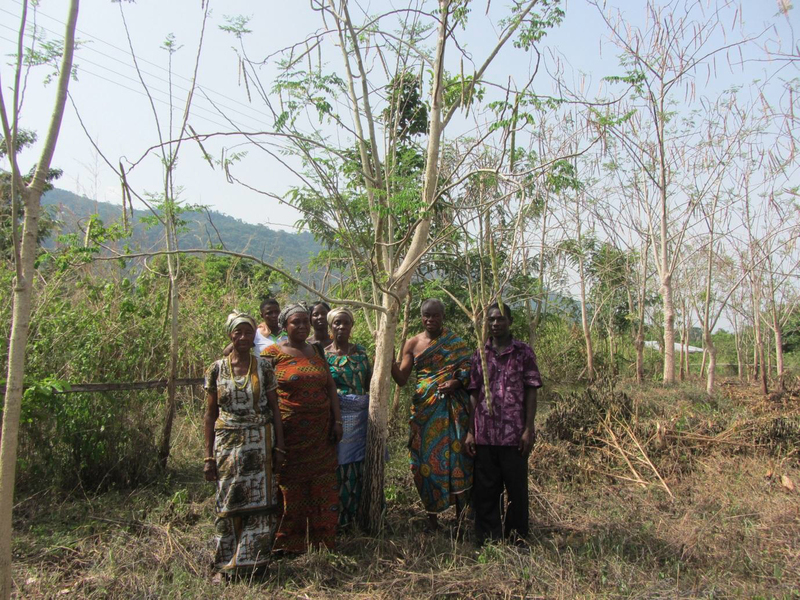 So, now that I have some of the facts, I hope to be able to proceed with this project for the villagers of Have Domefe, whose storytellers have freely given of their traditional oral stories, several of which are in my book, ‘Once upon a time in Ghana’. On my various visits they have also shown me dramatic representations of puberty rites, traditional singing and games. 2013 look very healthy. 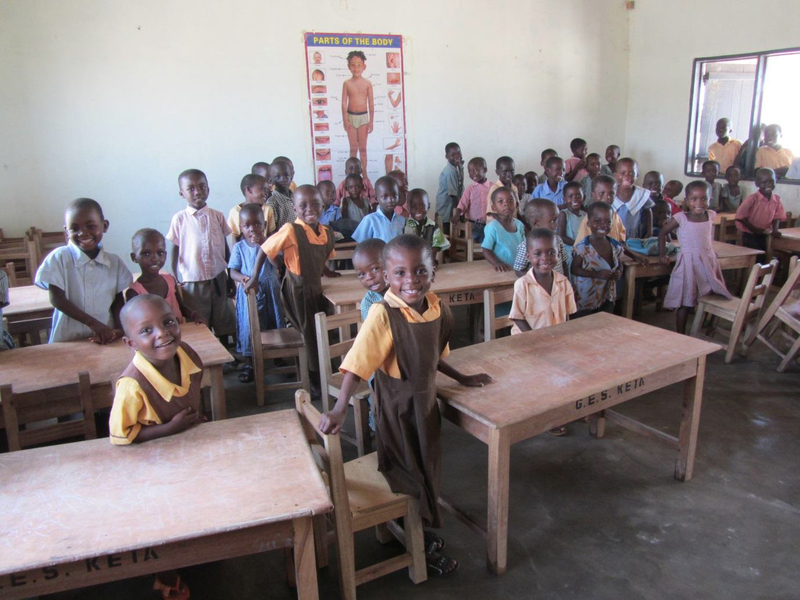 Two good classrooms complete with a wide selection of teaching and learning resources have worked their magic in persuading new parents to enrol their children at school. Once again, Norwich Blackfriars Rotary club is looking to assist with the school and so I returned armed with all the necessary information on building a lagoon defence wall around the school. During the rains, the lagoon water fills much of the land occupied by the primary school and so the children are obliged to walk through water which is unsanitary and carries many water borne diseases. At best, the children are at risk of contracting skin infections and, at worst, of contracting life-threatening diseases such as cholera. 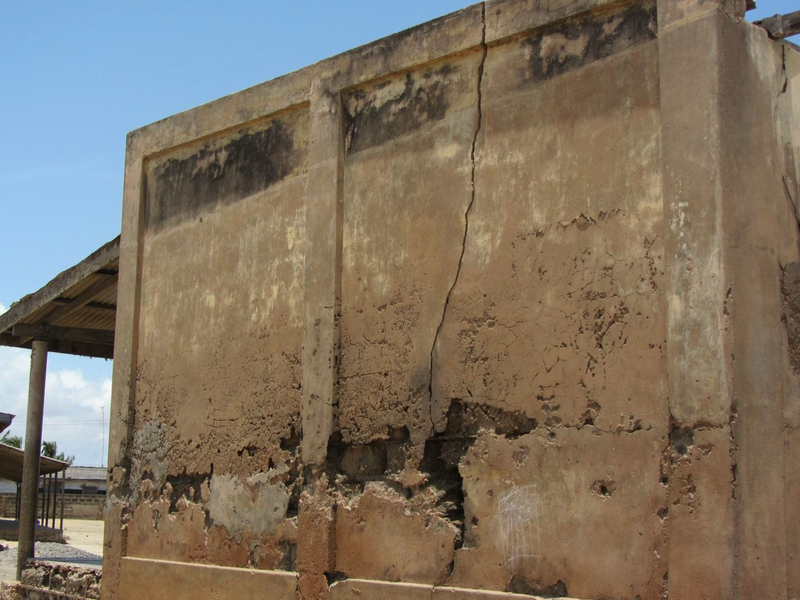 Whilst there are many urgent needs within the school, the defence wall is seen as the most urgent as, not only is the water a source of disease but it also destroys the buildings. Whilst we cannot eliminate the salt content of the atmosphere, and it is the salt which destroys the mortar, the act of preventing it from actually seeping into the mortar for several months of each year means that the buildings have a sustainable life. 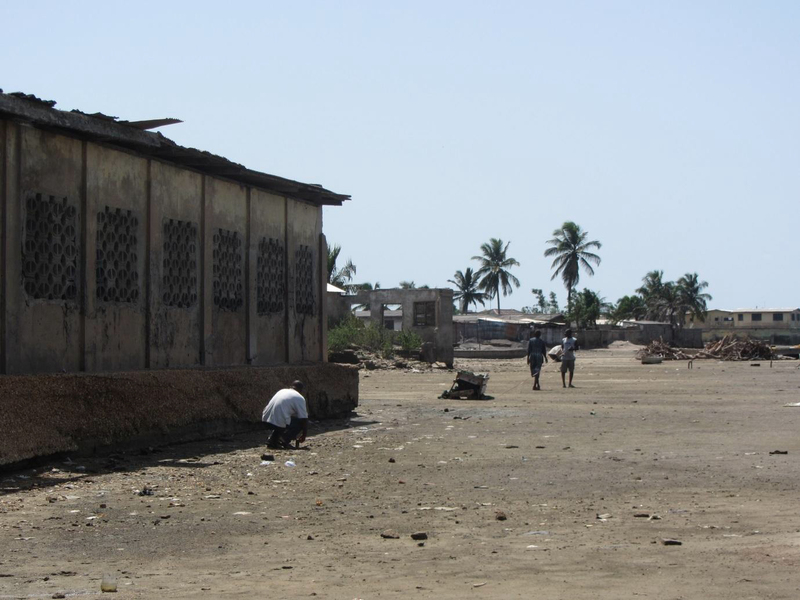 The classroom block you see below is being destroyed by the salt water from the lagoon which surrounds it for several months of the year. 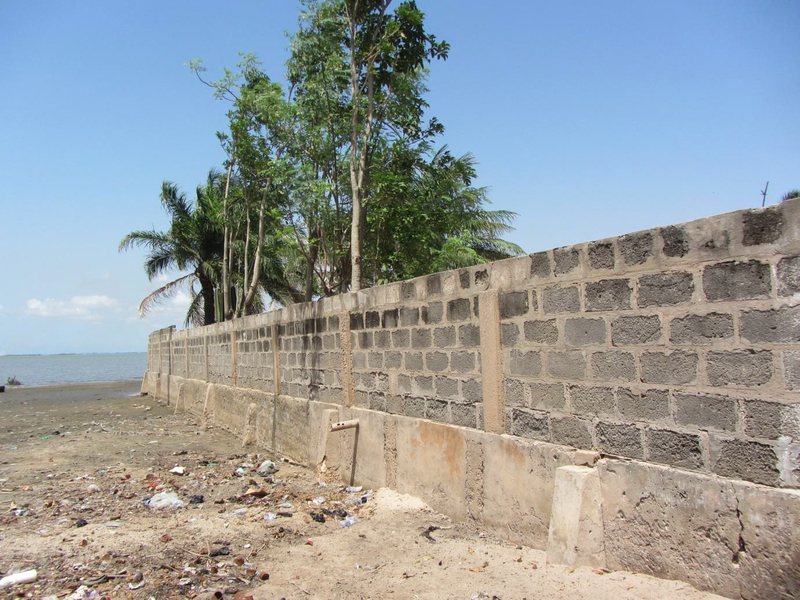 So, measurements for the defence wall were taken and I was shown other defence walls which have been constructed around lagoon side buildings. The proposed wall around the school would only be about half the height of the one shown in the 2nd photo below but still gives an idea of what we need to build. 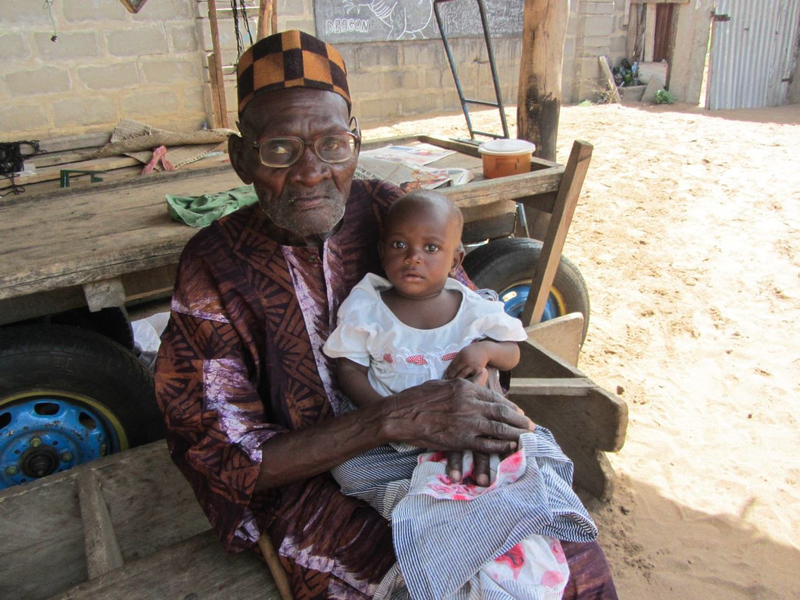 Whilst the Have and Anyako projects have yet to be realised, I was able to spend time and funds on Mr. Nutsugah, the elderly storyteller who gave me so many wonderful stories in 2007. The annual visit to hospital revealed that he has cataracts developing on both eyes but, in view of his age and the difficulties involved in providing him with constant close care, it has been decided that he will not undergo an operation. Discovering that his bed was broken, I was able to get it mended as he has found it difficult lowering himself to floor level in order to lie on his mattress. I also had new clothes made for him and left money for a local lady to do his laundry and he was very happy with all the new arrangements. I discovered this year that he loves babies and, despite his difficulties, he has no fear in holding them and this little one was anxious about the white lady and the camera but not about being held by the 91 year old Mr. Kwaku Livingstone Nutsugah. One of the highlights of this year’s visit was the 20th anniversary celebration of Afiadenyigba Senior High School (Afiasec). 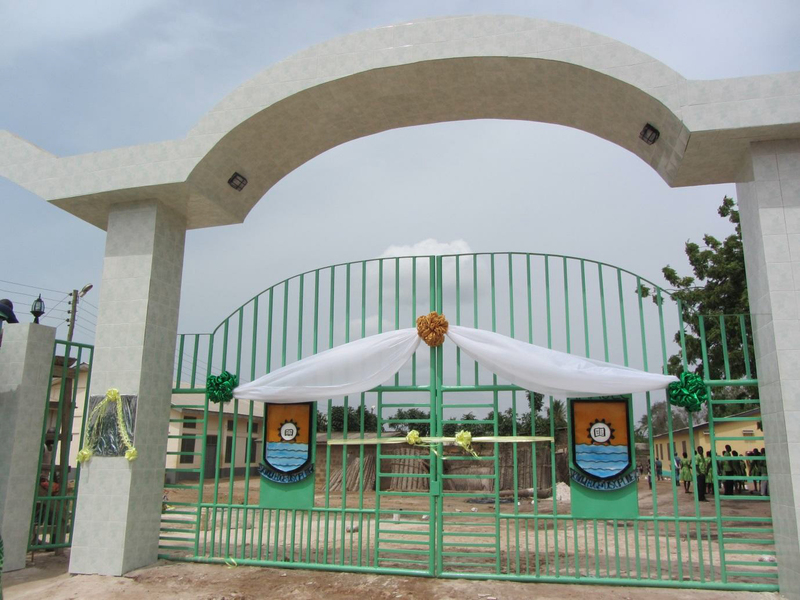 This school has been linked with Acle High School for the past 5 years and is totally transformed from a small rural school struggling to find classrooms to house the pupils into a fast developing and successful Senior School. 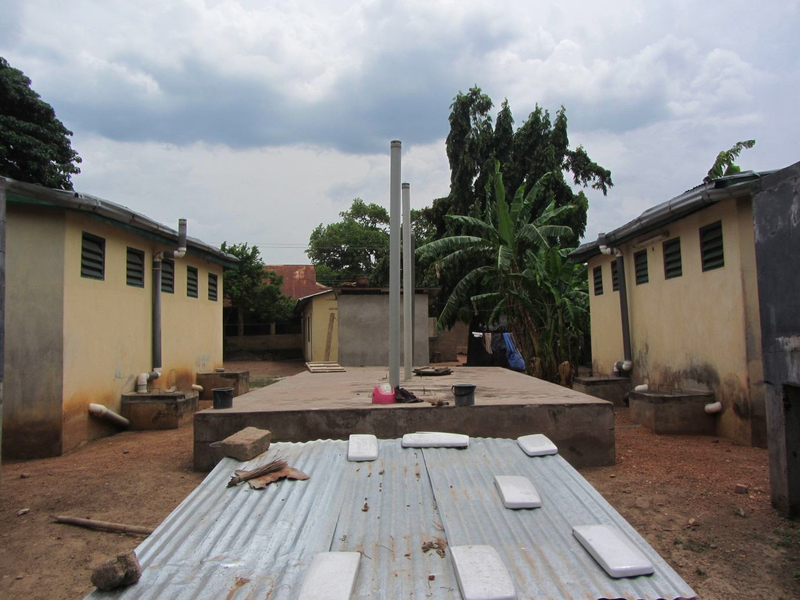 Help from Acle High gave the first major boost as they were able to turn the shell of an abandoned building into a 4 classroom block, thereby gaining the extra space they sorely needed. This early success meant that the school was able to declare itself ready and able to make excellent use of scarce government funds and, under the skilled guidance of the head teacher, Mr. Sabblah, the funding was duly given. At the same time, a very successful business man retired to live in the locality and has really taken the school to his heart. With his many influential contacts he is hoping to attract further funding as there is still much that needs to be done to meet the ever increasing demands of education. Mr. Sabblah is enormously grateful to Acle High for help with building and then with funding the microscopes his Science Department was able to buy, both of which will always testify to this help so generously given. This grand new entrance was opened at the anniversary celebration on March 23rd 2013. The link between Wicklewood Primary and Ketasco Basic (Primary) continues to flourish. Last year, I was able to give money generously raised by the Wicklewood pupils and with which it was intended that a school lunch time shelter should be built. However, the Ghanaian Government suddenly and unexpectedly announced that it would donate a number of laptops to schools which managed to put in electricity. So Ketasco raced to raise the necessary funds for the electrical work to be done and was obliged to include part of the Wicklewood money to this end. However, the remaining money was used to start making the bricks they will need and my hope is that I shall see the completed shelter next year. Here you can see the bricks which will be used. 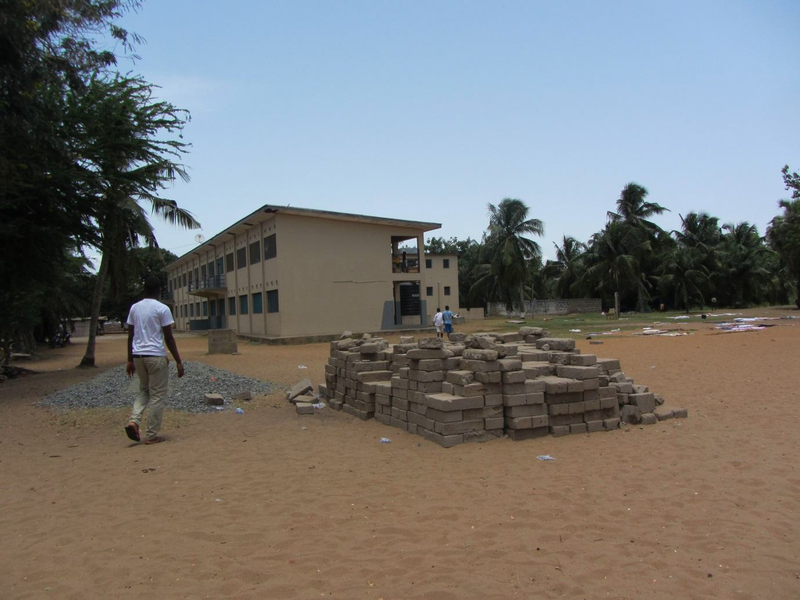 In the background is a new boarding block for the High School which is much better provided for than the Primary School. This photo is taken at the orphanage which looks after abandoned or severely neglected children in Togo and which I visit every year. Thank you very much to all of you who continue to support my projects in Ghana. Nothing would happen without you.